Western Weather Group's team has worked together in Chico, California, for over 25 years in the field of meteorology. Our highly skilled meteorologists, physical scientists, and support staff provide professional weather information services, including customized weather-related notifications. Western Weather Group specializes in custom, detailed, and site-specific weather forecasting. 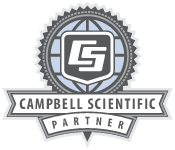 In addition, with over 25 years of experience working with Campbell Scientific instrumentation, Western Weather Group provides a complete line of industrial-quality meteorological and environmental monitoring systems. This includes the design, sale, leasing, installation, maintenance, calibration, and EPA audits of these systems. Western Weather Group has provided data collection, data distribution, and web hosting services to meet the needs of various applications in a breadth of industries, as well as for a host of government agencies.